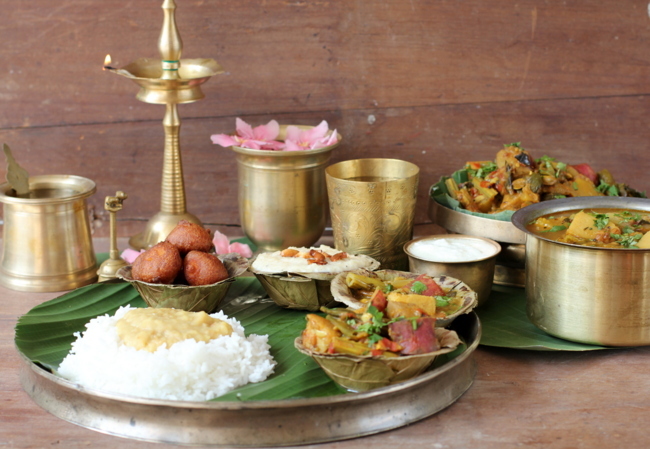 Sankranti Subhakankshalu! Wishing all my dear readers and friends who are celebrating, a very happy and prosperous Makar Sankrathi. 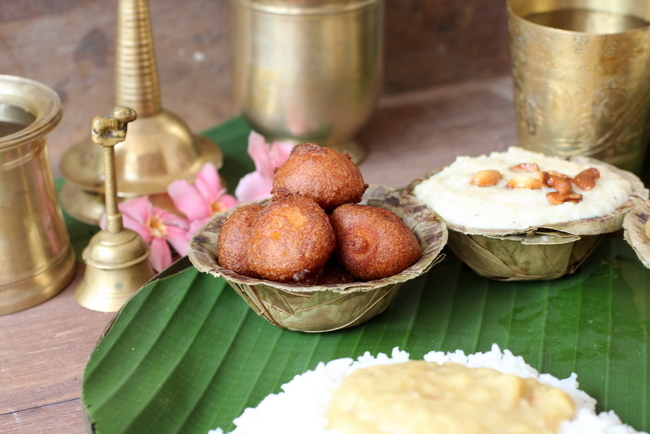 Most native Andhra homes celebrate the most auspicious Thanksgiving festival, Sankranti with traditional festive foods like Kalagaya kura, Kalagaya Pulusu, Ariselu, Bobbatlu and Teepi Punugulu. Each region and each home have their own versions of festive preparations. 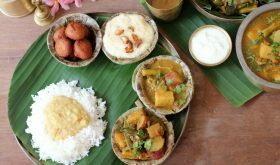 Whatever the custom, you can be assured that each home will prepare a special dish to usher in the harvest season and offer thanks to nature, the sacred cow and beloved ancestors. The newly harvested rice is cooked and offered as neivedhyam to the Gods. 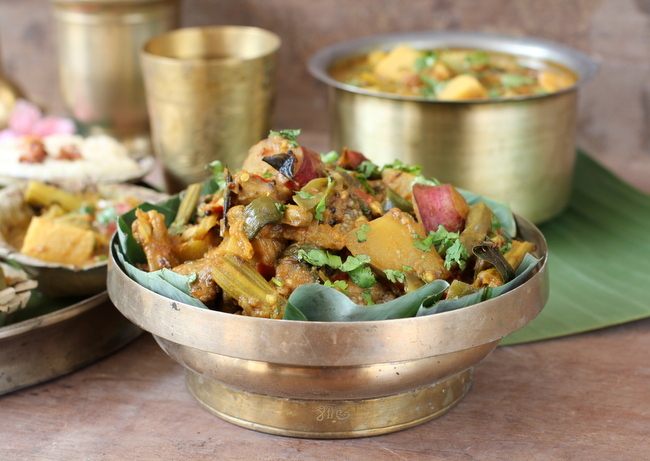 By and large, Kalagaya kura aka mixed vegetable curry is a common traditional Sankranti preparation including Kalagaya Pulusu aka Teepi Pulusu, mixed vegetables cooked in jaggery and tamarind. 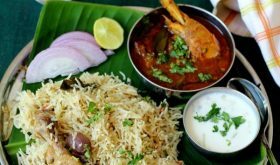 The sweet dishes might differ based on the customs followed by each home like Boorelu, Ariselu, Kajjikayalu, Bobbatulu, Sunnundalu etc. 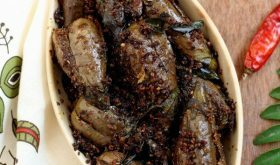 Two loyal readers of Sailu’s Kitchen, who are based abroad, have requested me to post recipes of Kalagaya Kura and Teepi Pulusu. 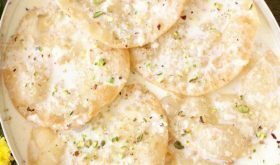 For the benefit of all those readers who are very far away from home and do not know how to prepare the traditional ‘Pedda Panduga’ (the other name given to Sankranti in our parts) delicacies, I am posting traditional special recipes of Sankranti. Heat oil in a large cooking vessel. Once hot, add mustard seeds and allow to splutter. Add cumin seeds, split urad dal and allow the dal to turn red. Add crushed garlic and curry leaves and saute for a few seconds. Add the chopped onions, green chilies and curry leaves and saute till the onions turn pink. Add all the vegetables except pumpkin and mix well with the onions. Cook without lid for 4 mts. Add turmeric powder, red chili powder, coriander powder and salt and mix. Place lid and cook on low flame for 10 mts. Then add the pumpkin pieces and mix and place lid and cook till the vegetables turn soft. This could take approx 15-18 mts. Keep mixing once in a while during the cooking process. Add half a cup of water and jaggery and mix. Place lid and simmer till the vegetable are completely cooked. Turn off flame and remove onto a serving bowl. Garnish with fresh coriander leaves. 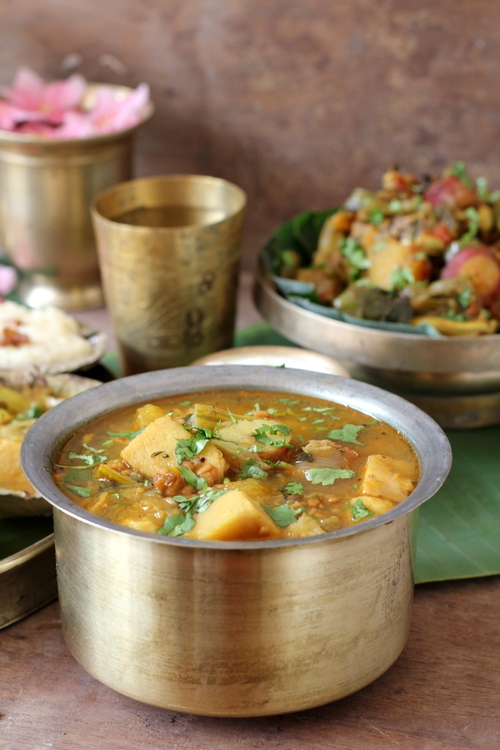 The quantity of pumpkin and sweet potato should be more than all the other vegetables used to make the curry as well as pulusu. Use jaggery as per taste. For the above quantities, I use around 2-3 tbsps grated jaggery. 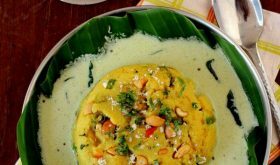 To prepare Mukkala pulusu, you will need to add 1/2 tsp fenugreek seeds (methi/menthulu) and 1 tbsp chana dal (bengal gram/senaga pappu) in the tempering along with the rest of the tempering ingredients that were used to prepare the curry. Follow the above recipe till step 2 (omit coriander powder). Then place lid and cook for 15 mts or till the vegetables are half cooked. Add 1 litre water and tamarind paste (large lemon sized tamarind) and 2 tbsps jaggery. Bring to a boil. Reduce flame and place lid and cook till the rawness of tamarind disappears and the stew thickens lightly, approx 15 mts. Add salt to taste and turn off heat. Remove into a serving bowl and garnish with fresh coriander leaves. 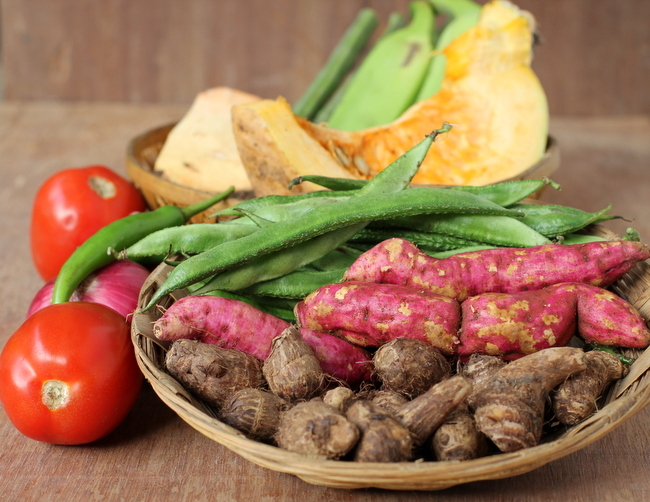 Usually freshly plucked raw tamarind (chintakayalu) is used to prepare the pulusu. If not available, tamarind paste can be used. If using chintakayalu, boil 7-8 chintakayalu in two cups of water for 8-10 mts. Allow to cool and extract the juice and discard the pulp. Add about a cup of this juice to the pulusu, if not using tamarind paste. By Sailu Published: January 14, 2013 Happy Sankranti to my dear readers. 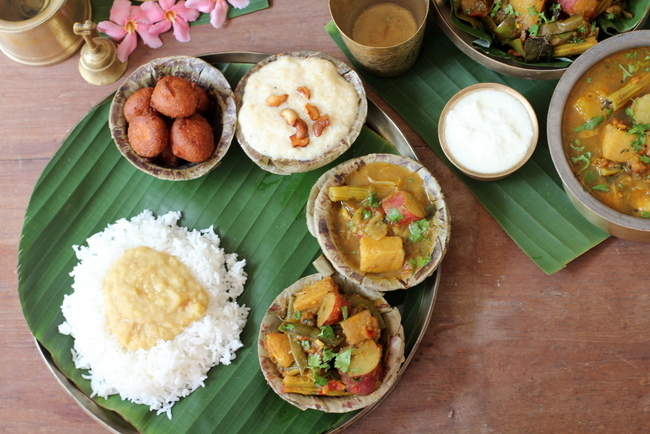 Learn how to make Andhra style traditional festival recipes like Kalagaya kura, pulusu, bobbatalu and teepi punugulu. 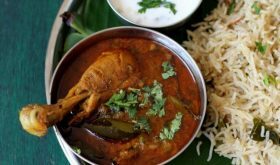 Thanks Sailu for all the recipes(I am your regular reader).,These photos have brought my memories back of Sankranthi,childhood and my home. sankranti subhakanshalu. thanks for the traditional andhra pandaga vantalu. Happy Sankranti and New Year Sailu. The vegetable stew looks amazing! Happy Sankrati to Sailu and to all readers celebrating it.. Happy Sankranti Sailu and to all readers celebrating it.